← Vintage typewriter cart score! fall leaves, originally uploaded by ordinarymoment. A sunny autumn walk through the trails of the place where our forever began. 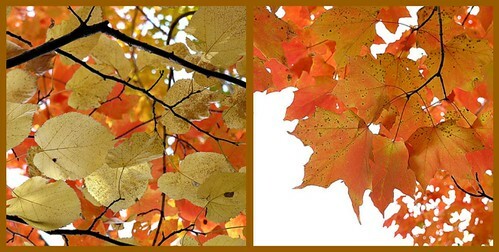 The crunch of leaves, the warm glow through all the brilliant colors. There is something comforting and cozy this time of year, as the chill of winter inches closer. Last moments to take in the growth of spring + summer, displayed now in all its glorious beauty. Breathe in the earthy scent, see the swirling leaves, appreciate the rhythm of the seasons here for us, right now. Time moves on, we change within, yet we know each fall we will be greeted with the brightest oranges, reds, golden yellows. It is these constants that bring us such hope + joy.